Chronic stress not only takes a toll on emotional health, but it can also affect overall wellbeing. When seniors reach retirement age, it doesn’t mean their stress levels decrease. 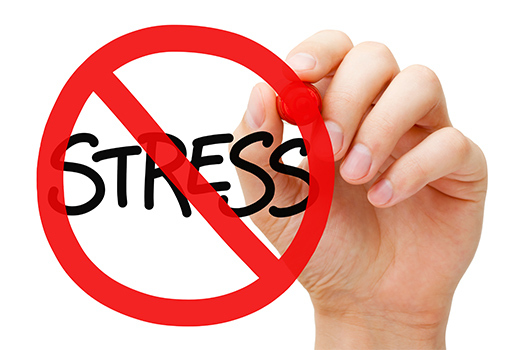 Thankfully, there are several natural stress relievers, ranging from meditation to creative activities. Here are a few of the best natural ways for to help seniors beat stress. Meditation emphasizes mindfulness, and it helps people clear their minds, find peace, and apply the lessons learned to their daily lives. Through breathing techniques and an increased awareness of the self, meditation gives seniors the tools they need to minimize their anxiety. There are many ways for seniors to enjoy the benefits of meditation. They can use a guided meditation app like Calm or Headspace to get started on their meditation journey. They could also use online resources or check out guided meditation CDs from their local library. Interacting with compassionate caregivers can also help seniors relieve stress and enjoy a higher quality of life. For families living in Georgetown, SC, respite care can be a wonderful solution when their aging loved ones need companionship and socialization a few hours a week or just need minor assistance with daily household tasks. At Home Care Assistance, we thrive on helping seniors maintain their independence while living in the comfort of home. For seniors who can keep up with a pet, a loveable cat or dog can be a great boon in times of stress. Studies show spending time with pets is a great way to relieve stress and decrease blood pressure levels. Pet owners also tend to exercise more frequently, which can reduce stress. Dogs and cats also relieve feelings of isolation, which can be a cause of anxiety in older people. Seniors should choose pets that are easy to care for, like cats or small lap dogs. If seniors can’t care for a pet, they could volunteer at the local pet shelter. From caring for pets to managing their own health and wellbeing, seniors may need assistance with an array of activities. 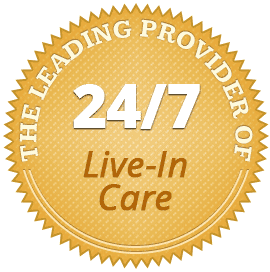 Georgetown home care experts are available to provide high-quality care to seniors on an as-needed basis. From assistance with mobility and exercise to providing transportation to the doctor’s office and social events, there are a variety of ways professional caregivers can help your aging loved one continue to live independently. Sometimes anxiety dissipates when seniors find the right creative outlet. Journaling allows seniors to express themselves, and painting can help them focus their minds on the present. Seniors may also find solace in scrapbooking, photography, and knitting. These fulfilling activities give seniors purpose, which can reduce stress caused by feelings of idleness. For seniors who rarely exercise, the prospect of joining a gym may cause anxiety. However, exercise is a great way to relieve stress because it can regulate the body’s production of hormones like adrenaline and cortisol. It also forces the body to produce more endorphins, which are chemicals responsible for positive emotions. These neurochemical benefits, when combined with the physical benefits of exercise, can vastly minimize a senior’s stress levels. When seniors start to feel anxious, they can drink a cup of chamomile tea. This tea is famous for its calming properties, and it’s most commonly used to help people sleep soundly. It can also ease symptoms of anxiety thanks to a flavonoid called chrysin, which is naturally occurring in the chamomile plant. Some older adults need help alleviating stress, managing daily tasks, and making healthy lifestyle choices. If your senior loved one needs hourly or live-in care, Georgetown Home Care Assistance can help. Our caregivers can assist with exercise and mobility, prepare nutritious meals, provide timely medication reminders, and help with a wide array of other important daily tasks. If your elderly loved one needs assistance managing daily activities or symptoms of a disease, call us at (843) 353-3105 today. Can Anxiety Result in Obesity?